ORLANDO, Fla., Dec. 4, 2017 /PRNewswire/ -- Red Lobster® announced today the launch of a new menu, featuring Tasting Plates and Globally-Inspired entrées. These new dishes are designed to give guests new ways to enjoy deliciously-prepared seafood at Red Lobster, while also still offering Red Lobster's classic dishes and guests' favorite entrees. 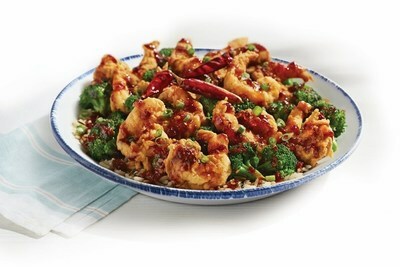 Red Lobster®’s new menu includes a line-up of Globally-Inspired entrees featuring flavors and preparations inspired by cuisines from around the world, like new Dragon Shrimp – crispy shrimp tossed in spicy dragon sauce. Red Lobster® is introducing Tasting Plates as part of its new menu – perfect for guests looking to enjoy small plates with big flavor. "Red Lobster is known as a destination for special occasions and for our seafood events – like Lobsterfest and Endless Shrimp – and we want our guests to continue to come to us for those. As we talked to our guests, we also heard that they want to eat seafood with us more often for other occasions and in different ways," said Salli Setta, President of Red Lobster. "We are excited about this new menu because it gives our guests new ways to enjoy seafood for more occasions and explore different flavors at an affordable price point." Red Lobster is also adding a wood-grilled 6 oz. Filet Mignon to its Surf & Turf offerings on the menu, perfectly prepared by Certified Grill Masters. And, as a complimentary accompaniment to guests' meals, Red Lobster has upgraded its Garden Salad to include mixed greens, slivered onions, grape tomatoes and shredded carrots, topped with croutons and cheddar cheese. Everything is served new, custom designed artisan plateware that brings out the natural beauty of the seafood. All the items on the new menu take advantage of the recent updates Red Lobster has made to its kitchens, including new equipment, like lobster & crab pots and sauté stations, and new technology that improves the pace of meal. Guests are invited to share their experiences on Red Lobster's Facebook, Twitter and Instagram pages. To view the complete Red Lobster menu, find a restaurant location or to join the Fresh Catch Club, visit Red Lobster's website. 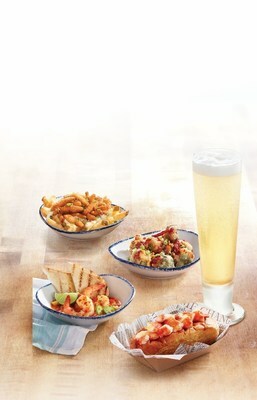 Sign up for Red Lobster's app-based loyalty program, My Red Lobster Rewards℠, to earn points and redeem tasty rewards. The free app is available for iOS and Android.